Loan amount: Business loan rate in Kotak Bank depends upon the loan amount you apply for. Higher the loan amount, lesser will be the interest rate. Bank gives loan of minimum Rs. 3 Lakh to upto Rs. 75 Lakh. Interest rate for high loan amount can be lower resulting in lower EMIs. 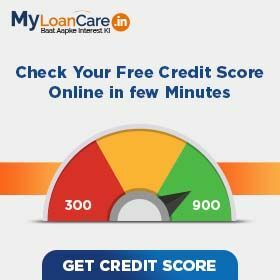 CIBIL Score: Kotak Bank offers loan at higher interest rate if your CIBIL score is low or vice versa. However, to get loan from Kotak Bank, your CIBIL score should be atleast 700. Higher the CIBIL Score, higher the chances of getting a loan at lowest business loan interest. Revenue: Kotak Bank will offer you loan at lower interest rate if you have higher monthly revenue. Bank gives loan to the borrowers whose annual turnover is at least Rs. 50 Lakh. Time in Business: Kotak Bank offers loan at lower rates if you have significant business experience. Minimum business existence to get loan from Kotak Bank is 36 months. Age: Age plays an important role to know your eligibility and repayment capacity. Kotak Bank offers loan to those who are at least 25 years old at the time of loan approval and maximum 65 years at the time of loan maturity. Profitability and Revenue: Loan eligibility significantly depends upon profitability on your turnover, revenue and profitability. Kotak Bank requires profit for minimum 2 years and minimum business turnover of Rs. 50 Lakh. Business Stability: Future business prospects and its stability is important to improve your eligibility for business loan. Kotak Bank requires minimum business track record of 36 months. The bank will also look for minimum growth in sales for the last three year. A decline in sales for a certain period or below a certain limit might impact your eligibility to get loan. ITR and Banking: Bank gives loan only after checking your income tax return and bank statements. Your ITR details for minimum 24 months and bank statement for minimum 6 months will be required by Kotak Bank. CIBIL Score: When checking loan eligibility, Kotak Bank will look at the complete CIBIL report. Kotak Bank will check your repayment history for all current and past loans and credit cards. Bank advise you to maintain a score of 750 and above to get loan approval. Interest Rate: Higher the interest rate, higher will be the EMI. For a 60 months loan from Kotak Bank at an interest rate of 16.00% per annum, EMI will be Rs. 2,432 per Rs. one lakh loan amount. At an interest rate of 19.99% for the same loan, the EMI will be Rs. 2,649 . Loan tenure: Longer the loan tenure, lesser your smonthly EMI. At interest rate of 16.00% per annum, the EMI on Kotak Bank business loan would range from Rs. 4,896 to Rs. 2,432 for loan tenure ranging from 24 to 60 months. Amount Borrowed: Kotak Bank Loan EMI will be high if you apply for a high loan amount. For amount borrowed Rs. 3 Lakh, the EMI at 16.00% for 60 months would be Rs. 7,295 . Similarly for amount borrowed Rs. 75 Lakh, the EMI at 16.00% for 60 months would be Rs. 1.82 Lakh. This is an overdraft scheme to meet business needs and emergencies. Offers customer the option to pay only interest during the moratorium period, and thereafter, pay moderated EMIs. Option of selecting moratorium of upto 36 to 60 months. Only interest to be repaid during the selected moratorium period. Under this scheme, a merchant owner can either take business loan or overdraft facility based on the yearly sales on a credit card POS machine. Salaried applicants with minimum 2 year experience and aged between 21 to 45 years will be eligible to avail this loan. Why to take business loan from Kotak Bank ? Bank offers loan at 16.00% rate with the lowest EMI of Rs. 2,432 per lakh. If you are paying EMI more than this then you can opt for balance transfer and relocate your loan to Kotak Bank. What is the interest charged on Kotak Bank business loan? Interest rates on Business loan in Kotak Bank are very attractive starting from 16.00% to 19.99%. Bank offer various offer for self employed professionals to get loan at very low rate of interest. What is the lowest EMI per lakh on business loan from Kotak Bank ? If you apply for loan from Kotak Bank, your lowest EMI per lakh will be Rs. 2,432 . What is the minimum and maximum tenure of business loan in Kotak Bank? These loans are shorter tenure loans. You can repay your loan in a flexible period of minimum 24 months to maximum 60 months. How much business loan amount I can borrow from Kotak Bank? Kotak Bank offers you loan if you need a minimum amount of Rs. 3 Lakh to a maximum amount of 75 Lakh. What is the processing fee charged by Kotak Bank on business loan? Kotak Bank charges a processing fee of Upto 2% with applicable tax. Is age an eligibility factor to get loan for business from Kotak Bank ? What are the prepayment charges on business loan from Kotak Bank? Bank charges a fee in case you want to repay your entire loan amount before the end of tenure period. The fee charged by Kotak Bank is 5% charges . Kotak Mahindra Bank is the first private sector bank to join the platform-psbloansin59minutes.com. Through this platform, the bank will offer loans up to Rs. 1 crore to micro, small &medium enterprises (MSME) in India. The Portal aims to reduce the overall loan processing time from 20-25 days to 59 minutes. Subsequent to this in principle approval, the loan will be disbursed in 7-8 working days. In an attempt to grow loans at a faster pace, SBI has hired Kotak Mahindra Bank for an institutional share sale. The bank has also chosen other lenders like SBI capital market, Bank of America and others besides Kotak Mahindra Bank. The share deal between them will help the lender (SBI) to bolster its credit growth and growth across the retail segment. 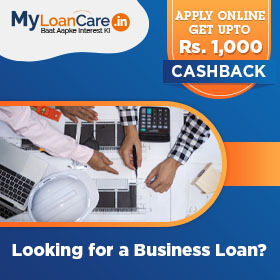 Kotak bank is offering special rates on business loans. Further, there is a part waiver on processing fees on home loans and business loans. These offers are valid on new loans availed by customers till December 31, 2017. The business loans are being offered at 1 percent lower rate than rack rate, plus 25 percent waiver on processing fees. Balance transfer on working capital loans up to 1.5 percent lower rate than prevailing interest rate on existing cash credit / overdraft rate (MCLR rates). Due to lack of credit demand from corporate, retail continues to be the focus for banks. On similar lines, Kotak bank has advanced over Rs. 56,000 crore to retail borrowers of the total lending of Rs. 142,359, making retail credit constitute a 40% share of the total book. Kotak Bank is also eyeing a stronger growth in the business loan segment, where it offers attractive loans with no collateral and quick processing time.